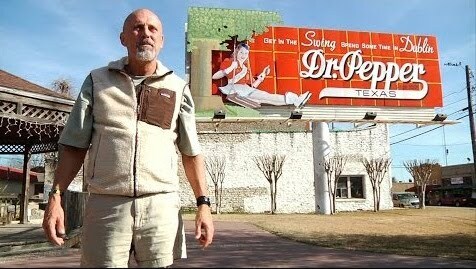 You Must Check Out the Documentary, ‘Bottled Up: The Story of Dublin Dr Pepper’!! If you’re a fan of soda, then i’m sure you have heard of Dr Pepper, which is a sweet cool soda that has quenched millions of people’s thirsts over many decades. If you are from Texas, then you would know the soda referred to as Dublin Dr Pepper, which was Dr Pepper made with real pure sugar, rather than the horrible corn syrup that infects the rest of sodas today. Dublin Dr Pepper was in fact made in Dublin, Texas, which is a small town on the west side of Texas, about two hours from Dallas. And I’m sure, you’ve heard that the Dr Pepper/Snapple corporation sued and eventually destroyed the Dublin Dr Pepper brand, name, and town, even though Dublin has been around for more than 120 years. 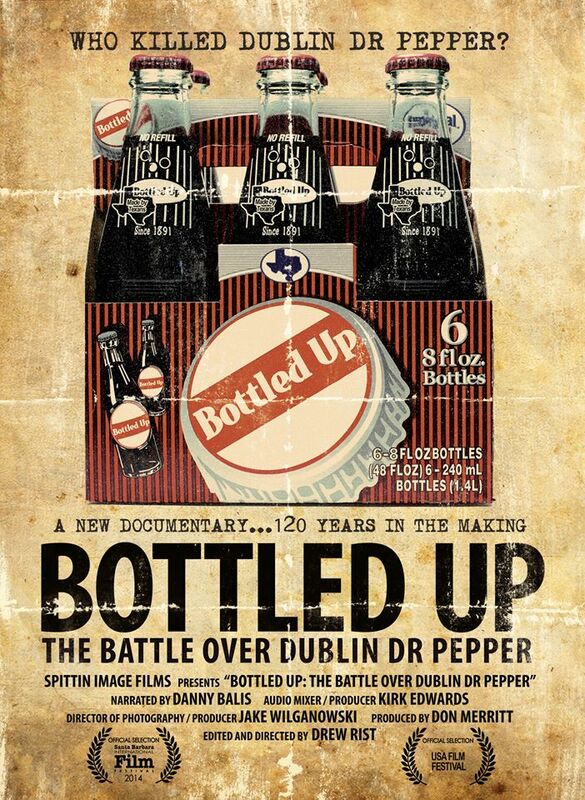 And this new documentary from filmmakers Drew Rist and Don Merritt, chronicles the bad blood between Dublin and the big bad Dr Pepper corporation, as well as the outcry from many fans of Dublin Dr Pepper still to this day. Now this hits very close to home for me as I used to sell the actual Dublin Dr Pepper from my old comic book store out of Oak Cliff in Dallas. We would even travel to Dublin and refill the old antique bottles with that great sugary drink and haul it all back to customers. Needless to say, Dublin Dr Pepper was one of the biggest sellers when it came to sodas there. But as a little bit of time passed on, the big corporation of Dr Pepper/Snapple, the people behind the corn syrup drink of the same name, did not like that Dublin Dr Pepper was sharing the stage, even though it wasn’t cutting to their profits at all. So like a big fat bully on the playground, terrorizing all of the other kids, the big bad Dr Pepper/Snapple group began to pummel Dublin Dr Pepper into the ground, until it died. And no, you cannot get Dublin Dr Pepper anymore because of this. And this documentary, which you can watch the trailer below, gives us a great glimpse full of stories and interviews of what just happened to this excellent soda company. And you can order the DVD HERE as well. I highly recommend you add this to your collection. This entry was posted on Wednesday, July 16th, 2014 at 12:10 am	and is filed under Film, News. You can follow any responses to this entry through the RSS 2.0 feed. You can skip to the end and leave a response. Pinging is currently not allowed. « Who You Gonna Call? ‘Ghostbusters’ 30th Anniversary Re-Release!